The New Jersey Business & Industry Association today announced that Melanie Willoughby, Chief Government Affairs Officer, will retire from her position, effective January 31, 2018. Willoughby has led NJBIA’s highly respected lobbying team since 2003, and spent 19 years overall with the association throughout her distinguished career. 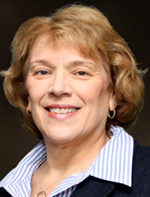 Melanie Willoughby, NJBIA’s Chief Government Affairs Officer, will retire effective Jan. 31. “We are extremely grateful for Melanie’s leadership and dedication over the years. And we know she will be successful in her future endeavors beyond NJBIA,” Siekerka said. Willoughby joined NJBIA as senior vice president of Government Affairs in 2003, helping the association build upon its reputation as a first-rate government affairs organization. It was her second stint at NJBIA. She previously served as Vice President of Marketing from 1982-86. From 1986-2003, Willoughby served as president and CEO of the New Jersey Retail Merchants Association, a statewide retail business organization representing over 3,500 stores. NJBIA has retained a firm to initiate a search and recruitment process for Willoughby’s replacement. “I am grateful for my years at NJBIA and I am very proud of what we have been able to achieve together,” Willoughby said. “Working with different levels of government, building relationships and grassroots campaigns, and engaging in constructive dialogue with stakeholders is not always easy work. But it is always gratifying work. “I have been blessed with strong lobbying teams and leaders who will continue their amazing work for NJBIA and will no doubt maintain the fight for pro-business policies in the state of New Jersey,” Willoughby said. Willoughby previously worked in Gov. Brendan Byrne’s administration as director of State and Federal Government Affairs for the New Jersey Department of Community Affairs. She has served on numerous boards and commissions throughout her career. Gov. Chris Christie appointed her to a three-year term on the Unemployment Insurance Reform Task Force, where she served as the co-chair. In 2012, Gov. Christie appointed her to the New Jersey State Employment and Training Commission. The Rowan University Board of Trustees appointed Willoughby to serve on the South Jersey Technology Park board. She serves the on the board of Rutgers Heldrich Center for Workforce Development, as well as the Mercer County Community College Foundation. Willoughby is also the founder and co-chair of the InnovationNJ Coalition, which was organized to promote innovation collaboration between business and higher education. She is a member of the Board of Trustees for Isles Inc., a Trenton-based community development and environmental organization. Willoughby was in the first class of women to be admitted to Rutgers in 1972 and later became the first woman president of the college’s Student Government Association. She was the commencement speaker at her 1976 graduation at Rutgers, and later went on to become president of the Rutgers Alumni Association. She was the first woman on the Rutgers Board of Trustees to represent Rutgers College. She is also a Rutgers University Eagleton Institute Visiting Fellow, serving as a mentor to Eagleton students.